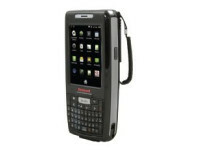 The Datamax-O’Neil Andes 3 printer was designed for the rough and tumble environment of the mobile field worker. Rugged, lightweight and easy to use, the Andes 3 is the perfect choice for companies who need a durable printer at an affordable price. The Andes 3 is lightweight and compact with all the features and options necessary to keep pace with today’s changing requirements in field service, law enforcement, retail, hospitality and route accounting applications. The Andes 3 can be worn comfortably all day with a shoulder strap or swivel belt loop. Its large paper capacity and easy “drop-in” paper loading means less downtime and higher efficiency. The Andes 3 is powered by a high-capacity, long lasting Lithium-Ion battery that lasts through an 8 – 10 hour shift. 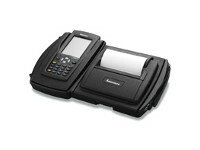 The ARM7™ 32-bit processor allows receipts to print quickly with ample memory for logos, graphics, fonts and barcodes. 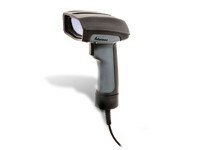 The affordable Andes 3 comes equipped with RS232, IrDA, USB, and Bluetooth as well as a universal AC adaptor, shoulder strap, battery, spare paper roll and includes a one year warranty (including printhead). Options include 802.11b/g, 3-Track magnetic card reader as well as a variety of accessories. With its low price point, the Andes 3 offers the options and features of higher priced products without compromising on quality and strength. The Andes 3 is a proven design that has earned a reputation for durability in applications around the world. With its affordable pricing, the Andes 3 offers companies the options and features of higher priced printers without compromising on quality and performance. • Rugged Design – The durable Andes 3 has a flame retardant heavy-duty housing that is UV-resistant and comes with side and corner over-molding to withstand multiple drops to 4 feet (1.2 meters). 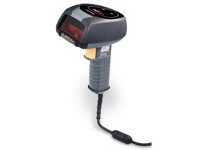 RS232, IrDA, USB, Bluetooth, battery, AC adaptor, shoulder strap and a one year warranty. • Fast Printing – All features supported by the Andes 3 are managed by an ARM7™ 32-bit processor ensuring fast print speeds of up to 3″ (76mm) per second. • User Controlled Memory – All resident fonts and firmware are integrated into the processor’s memory leaving 4MB Flash available to store custom configurations, logos and fonts. • Easy to Use – LED lights provide status for power, communication, battery charging, card reader (optional) and error conditions. With a simple “dropin” paper load system that allows for quick paper roll replacement, the Andes 3 holds a paper roll of up to 130ft (40m). Transparent door windows let you see when the paper roll is running low. • Options – 802.11b/g and magnetic card reader. • Endurance – A high-capacity Lithium?Ion battery lasts a full shift on a single charge. • Flexible – Supports the printing of custom graphics, logos, fonts, 1D barcodes and 2D symbologies. • Charging Options – Standard: AC adaptor included with printer. Optional: vehicle charger, vehicle mount and external 2-Bay battery charger. – 2.20″ (55.8 mm) maximum roll O.D. 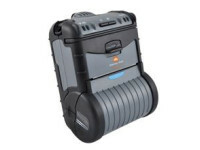 Andes 3 comes complete with Shoulder Strap, Battery, Universal AC Adapter and 1 Roll of Media.